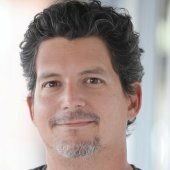 Since the service was launched, Google has worked hard to make Google+ relevant to searchers, business owners, and everyday consumers. The company has started 2014 by announcing a new feature that will make it easier for Gmail users to contact Google+ users they are connected to, even if they don’t know the specific email address. The system may make Google+ more useful for business and marketers, but there is also a clear potential for misuse. This post will explain how the system works, how it business owners can use it to their advantage, and what consumers with privacy concerns need to know. The new feature is simple and easy to use. Whenever a Google+ user starts typing in the address bar of a new Gmail message, besides the email addresses that normally show in the drop down menu, there will be an additional section for the Google+ users that may be relevant with similar starting letters (it’s not especially clear how Google will determine what is relevant, but they tend to be good at that). The email address isn’t shown, just the name, and Google handles the delivery behind the scenes. The feature is being rolled out gradually and according to the Gmail help center users will first receive an email explaining the feature and the feature itself will be enabled soon afterward. For business owners and marketers, this new feature will make it easier to connect with people they met or want to meet but don’t have the email address for. Remember, more than 60 percent of US consumers have a Gmail address and vicariously a Google+ account. Being able to put a message directly in the email box of anyone out of more than half the country is a feature that will be invaluable to every business owner or marketer in one way or another. It is easy to see the potential for abuse, but Google has taken many precautions to prevent this from happening. It’s important to note that the way the feature works (as illustrated in the image) never show the Google+ users email address, so email addresses aren’t opened to spammers. Pestering messages won’t be a problem according to assurances from Google. People can only use the feature to send a message to someone once. After that, they would need the actual email address. The person receiving this new kind of message would be told that the person sending the message isn’t in their circle and the only way that they can receive more messages is to add them or reply to the message. 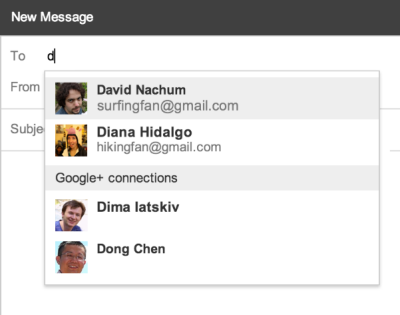 Gmail and Google+ users will also be able to control who send them messages this way by adjusting their settings. Messages from Google+ can be limited to a user’s circles, their extended circles, anyone on Google+ or no one at all. Google also says they have other protections in place to prevent spam, though they don’t elaborate for security reasons. The ability to send messages to just about any Google+ user may be just the thing to make the platform more relevant to business owners and users alike. For people who are already using Google+ to market their services and share content, the feature will make it easier for them to connect to new people and for those who are searching to easily connect with them. There are certainly privacy concerns, but Google does seems to have thought these issues through. As the feature is rolled out, pay attention to see the innovative ways business owners use the feature to build their brands.